You can often find free gold at garage sales and yard sales. 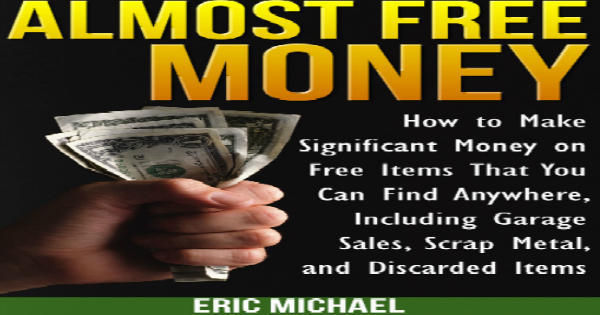 The we have found over $5,000 of items sold on Amazon, eBay and Etsy in free boxes at garage sales, rummage sales, and estate sales over the last 10 years.We will teach you how to find all kinds of valuable items for free at garage sales, yard sales, and tag sales! It’s fun and exciting, and it only costs you gas money to get to the sale. 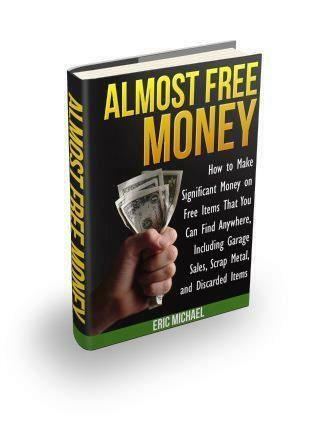 The trick is to have a variety of different types of items and materials to look for and that is what we are going to discuss in this post and the majority of the content in our first book Almost Free Money. I would say that about 60% of garage sales and yard sales will have free stuff that is available for anybody to claim. The hosts just want what they think is worthless junk gone. However, it’s not very often that there is nothing of value in the free boxes in any garage sale. If there is one webpage where veteran garage sale pickers will want to pay attention, this is the one. I have found hundreds of dollars of treasure in free boxes over the years! Free Boxes will often be close to the end of the garage, or out by the road. 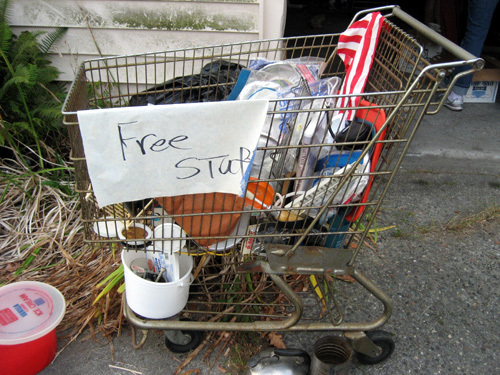 There is also often large items that will be free near the road. Don’t be afraid to grab the whole Free Box, and got through it later. You are doing the garage sale host a favor by removing the box for them. I often feel guilty about plundering free gold at garage sales, and at least make sure to buy something small from the yard sale. I mean, I often leave free boxes with several $20 books. I can spare a quarter or two to thank the host. Dig through the whole box, all the way to the bottom. I have dug through trash, and found all kinds of treasure at the bottom of Free Boxes: $50 books, new CDs worth $20, a working Gameboy system, many portable video game cartridges, vinyl records worth $20, a 24K gold necklace, other gold and silver jewelry, very old postcards, stamps, vintage marbles, baseball cards, and all kinds of “broken” vintage electronics that were easily repairable! Remember, many broken vintage electronics, such as audio equipment, video game systems, and computers, can be parted out and sold for big money. Many, many large items have parts that can be sold, because they are parts that often fail or get lost. Large yard sales should be re-visited near the end of their sale. There will often be additional free boxes set out. Ask the host what they plan on doing with leftover items. If you are willing to haul their stuff to the dumpster, you can often make a huge score with the leftover items! Score! Only a true flipper knows the real treasure here is the cart itself. The cart can be sold on Craigslist for $20-30, or you can sell the stainless steel as scrap for $15 and the wheels on eBay or Etsy for $5. Books: I have many high value books in free boxes, especially look for PB textbooks. Books are great because they can be listed on Amazon in several seconds, and take up little room in your inventory. Movies: Any DVDs, and some VHS tapes can be worth decent money. CDs, Cassettes, Vinyl Records. List on Amazon. Remote Controls (Any). If you see remotes, pick them out. These often get lost and people are looking to buy them online. I have sold quite few vintage remotes on Amazon for over $15. You can even sell the battery compartment doors in some cases. Computer accessories, especially old collectible stuff from Apple II, Commodore, etc. Video Game accessories like controllers, power cords, AV cords, etc. You never know when you will picka system that is missing a cord, and the cords can also be sold online. Anything gold plated, silver plated, solid copper, or solid brass. You should always have a magnet with you when you pick. Precious metals do not stick to a magnet. This is the real free gold at garage sales. Small toys like vintage Matchbox card, action figures, Legos, and other collectible toys.